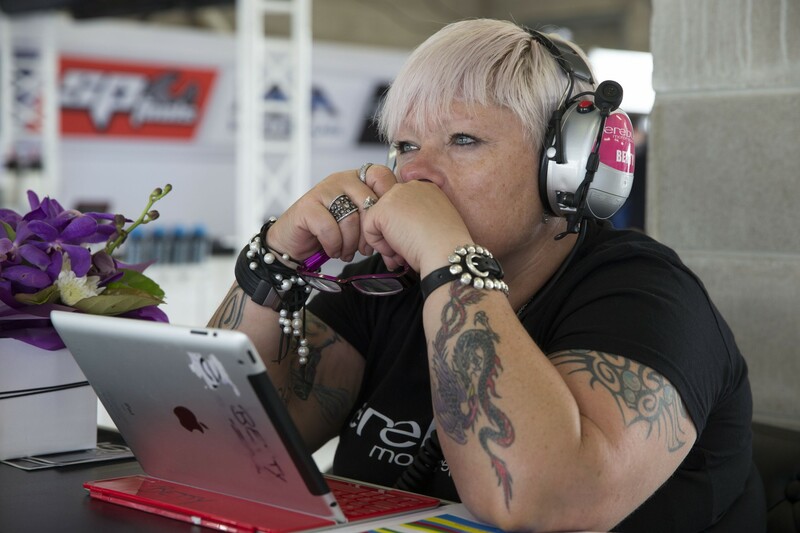 Betty Klimenko has given herself a January deadline to decide on a direction for her Erebus Motorsport V8 Supercars team. After a rollercoaster 2015 – going from a Will Davison win, to unusual driver swaps and rumours of dropping to one car run out of Melbourne – the much-loved team boss is considering the best way forward for her group. Klimenko confirmed she is considering a manufacturer swap for next season, given she has no backing from Mercedes-Benz, with Holden her preferred option. Klimenko pledged her commitment to the V8 Supercars category – but where to from here? “I’ll never get out of the racing – I’ll always be in V8s – but which way to go?” she told v8supercars.com.au. “If I did change [manufacturer] … Holden would be my choice because my father and Fredrick Sutton [former head of Suttons Motors] were very good friends. “I grew up in the time that they had the new Berlina station wagon – going back many years, I wanted a gold one. My father rang up Fredrick said … there’s a one year wait, but I’ve ordered one and she can have mine. So the family has a Holden connection. Klimenko says there are no financial issues for the team moving forward – she just wants it to run as a successful team does, financed by sponsorship rather than ‘pocket money’. “Privateers can’t do it anymore, it’s got to that stage,” she said bluntly. “The boys made me start thinking … you know, I’d be a fool if someone offered me something and I could find a manufacturer and not to change. Earlier this season in a revealing interview with Inside Supercars Klimenko confessed she should have done things differently early on and has seen racing in a different light this year. “When I started I was very happy doing what I was doing, but then after the three years I realised this is definitely a business – and it’s very friendly when you’re up, but not overly friendly when you’re down … I’ve taken a whole new look at how we do things and that new look will make itself known over the Christmas break and into March. While the Benz’s M159 engine was upgraded earlier this season, and was deemed successful, with Davison taking a race win shortly after, Klimenko is now less confident it can go any further. “I did the brave thing with undeveloped engines and everything else,” she said. “I think my engines need a bit of development and you’re not going to get it with three [test] days a year. What kicked off all the questions was Will Davison’s departure, Klimenko said. The former series runner-up will switch to TEKNO for 2016, cutting short a long-term deal he had with Erebus unexpectedly. “All of a sudden, when Will left, someone inside the group started saying ‘they’re going down to one car and moving to Melbourne’ – so the next thing you know, another crew [member] leaves and another crew leaves, and another,” Klimenko explained. “No one was even asking me what we’re doing. And I made it quite clear to the crew that was not the right way to handle it. “Anyway, they’ve pushed me into having to change what I’m doing next year because all I’m left with is eight staff and I don’t have enough people. “As far as the Melbourne thing goes, I have a factory in Melbourne – a beautiful factory in Melbourne – and if you think about it logically, why wouldn’t I be using my factory and putting everything under one roof? But that’s not a certainty either. There are question marks around a teammate for confirmed David Reynolds in 2016, after Ash Walsh was switched out of his seat for the final two rounds. Klimenko said that had been to try and find out more about the cars – and it is another decision she still had to make. “I really don’t know what to do with Ash because I do believe he’s a good driver I just don’t believe he’s 100 per cent ready for V8s,” she said. “I’m not saying he’s not driving – that’s another thing we haven’t made up [our minds about] either.